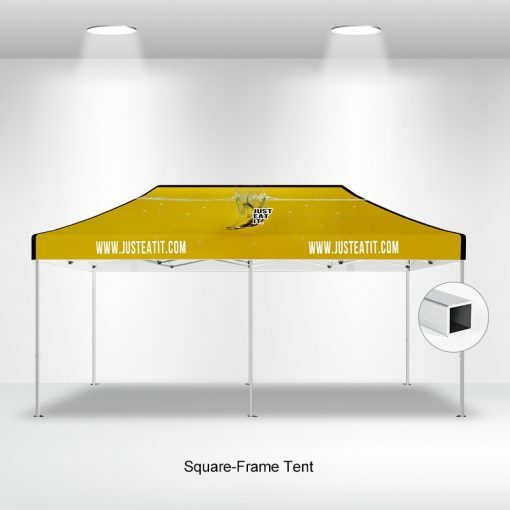 This item includes the 10×20 frame, custom printed top roof & premium carry case. 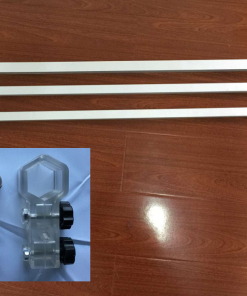 Back Wall, Side Walls and other accessories need to be added separately. 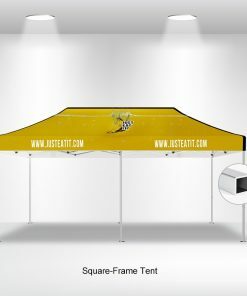 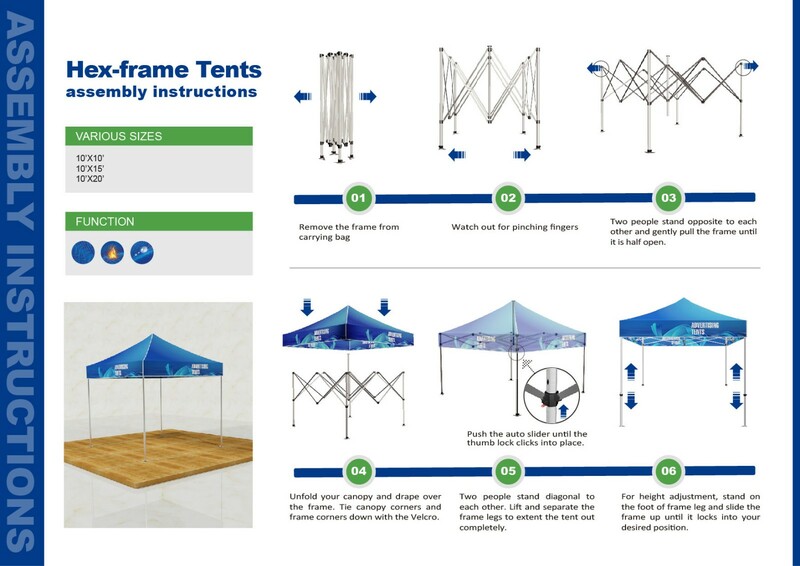 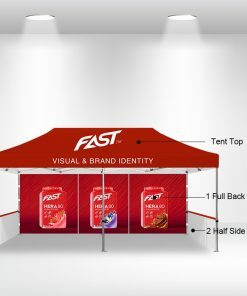 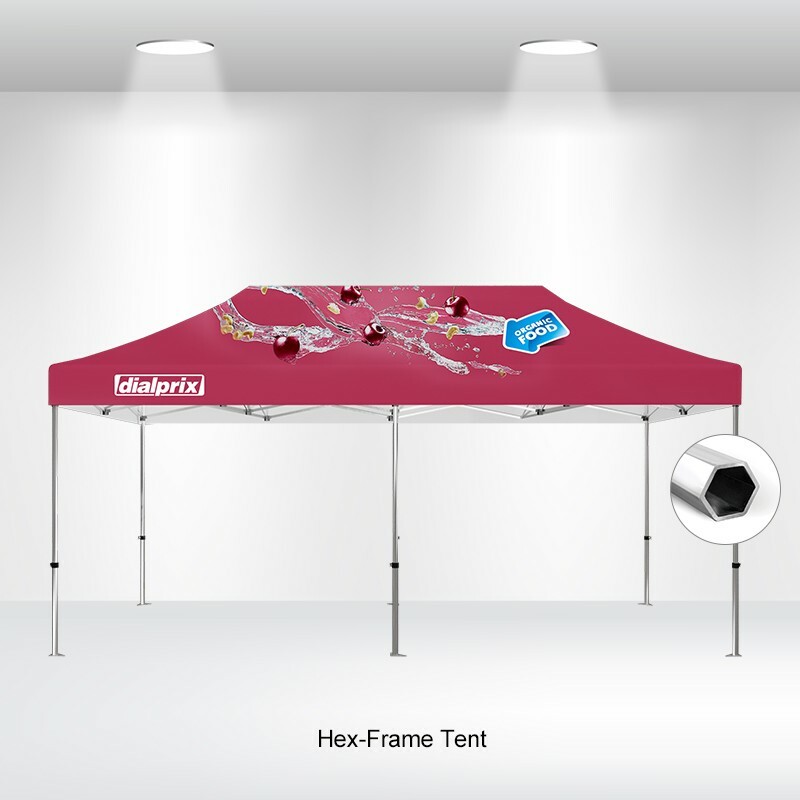 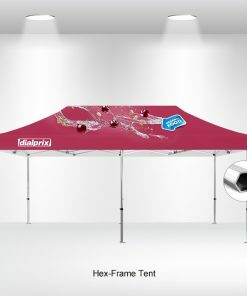 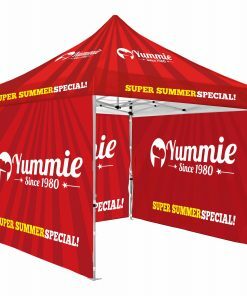 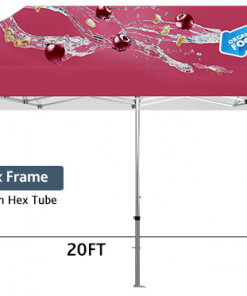 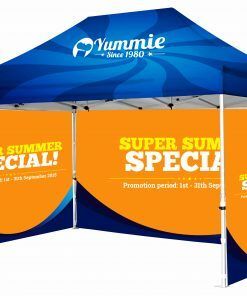 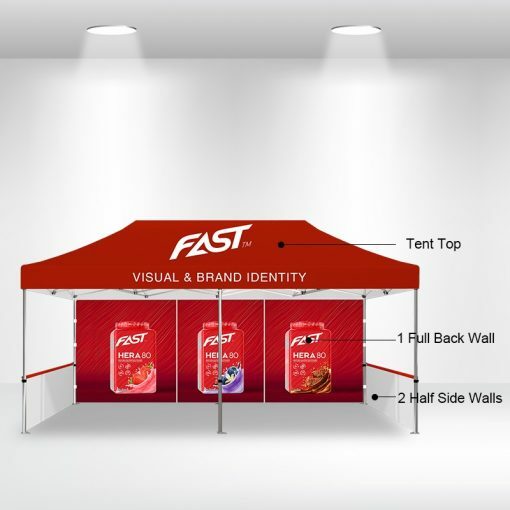 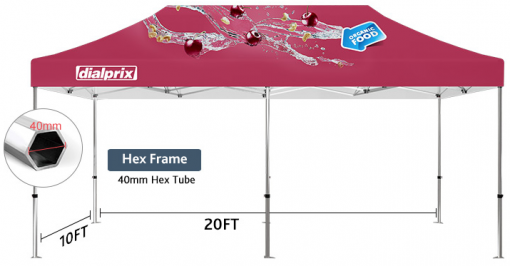 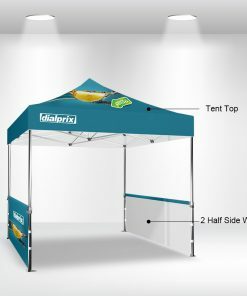 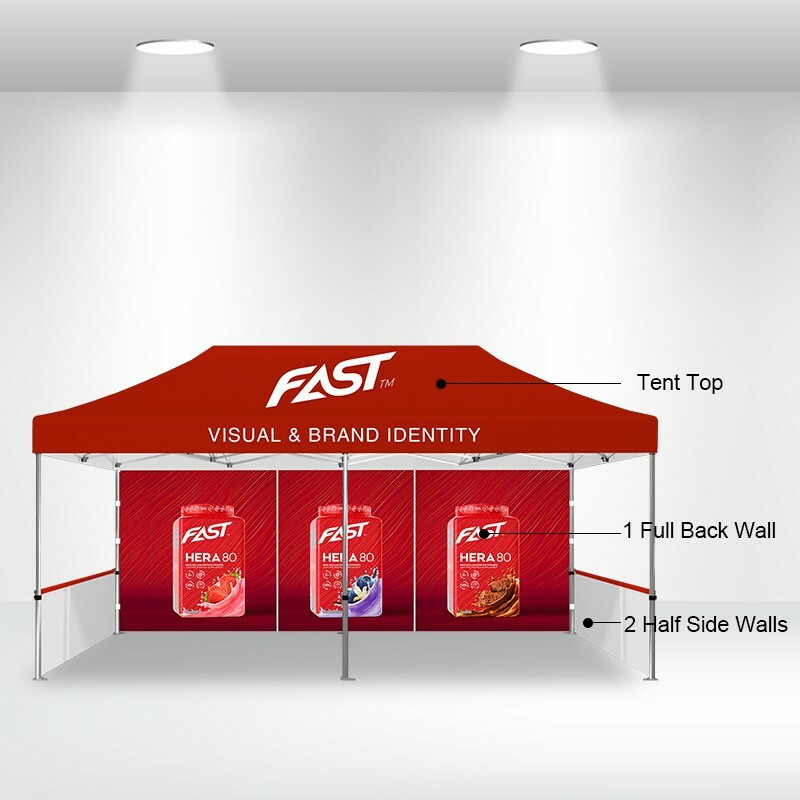 This 10′ x 20′ canopy tent is a widely used promotional tool. 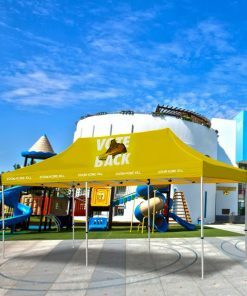 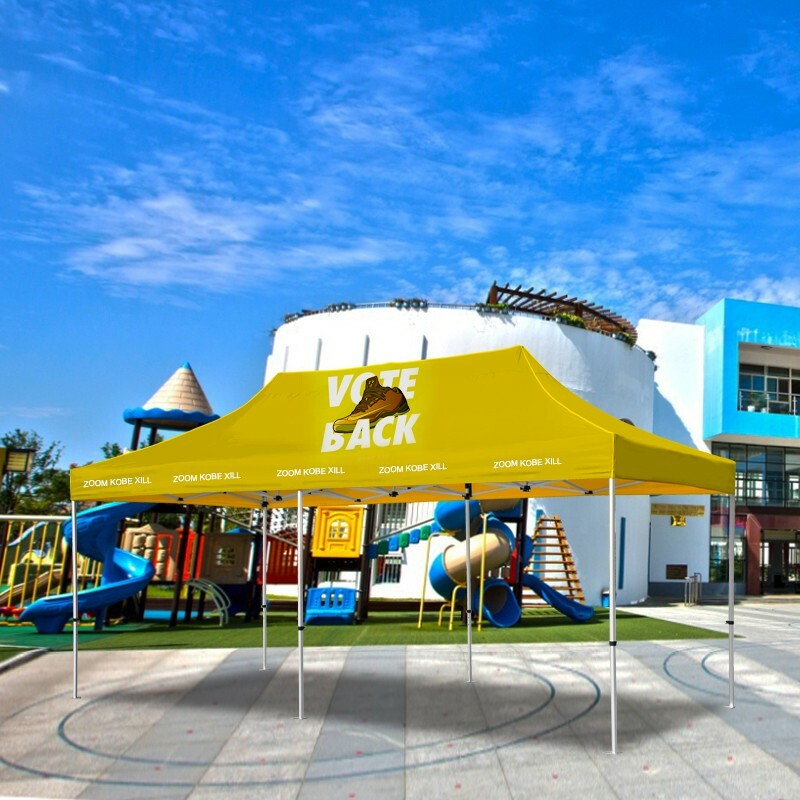 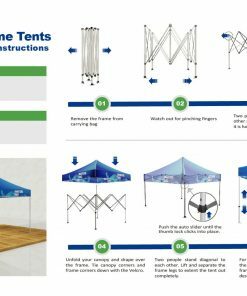 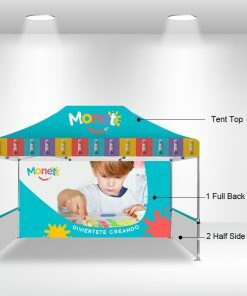 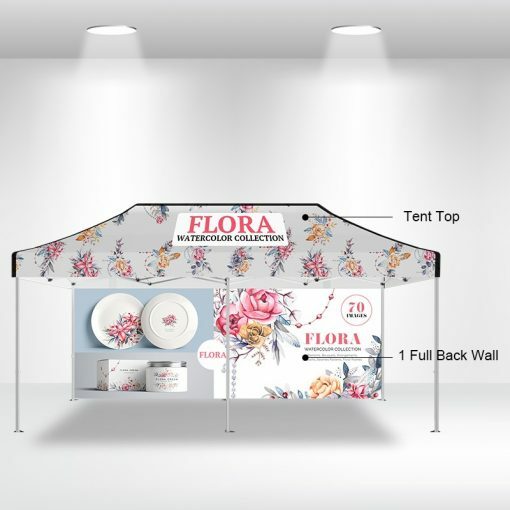 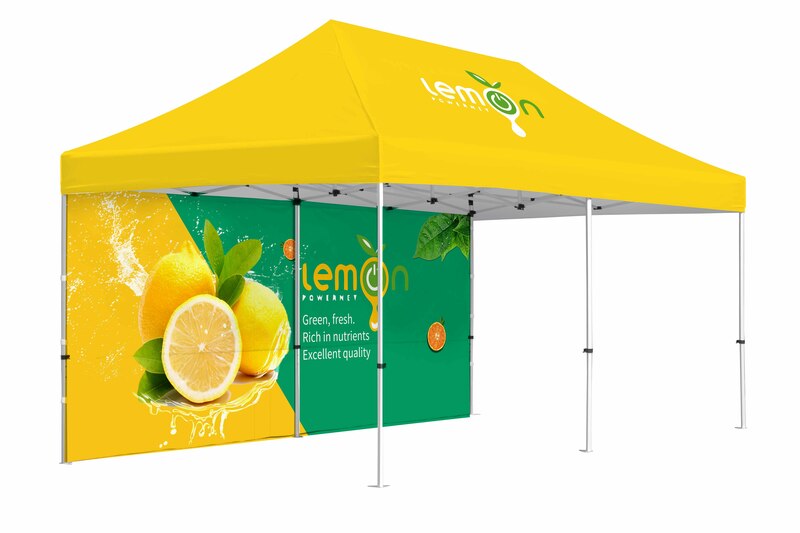 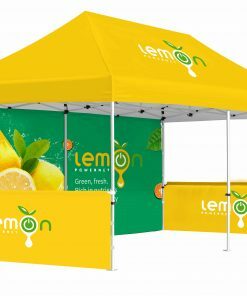 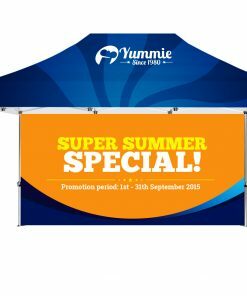 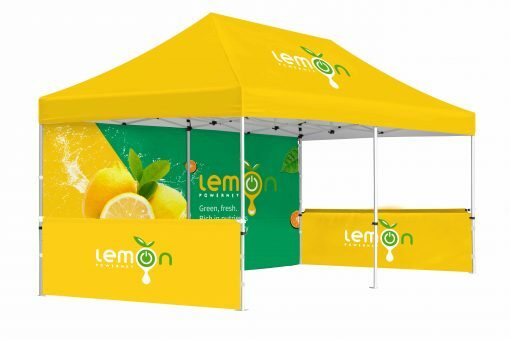 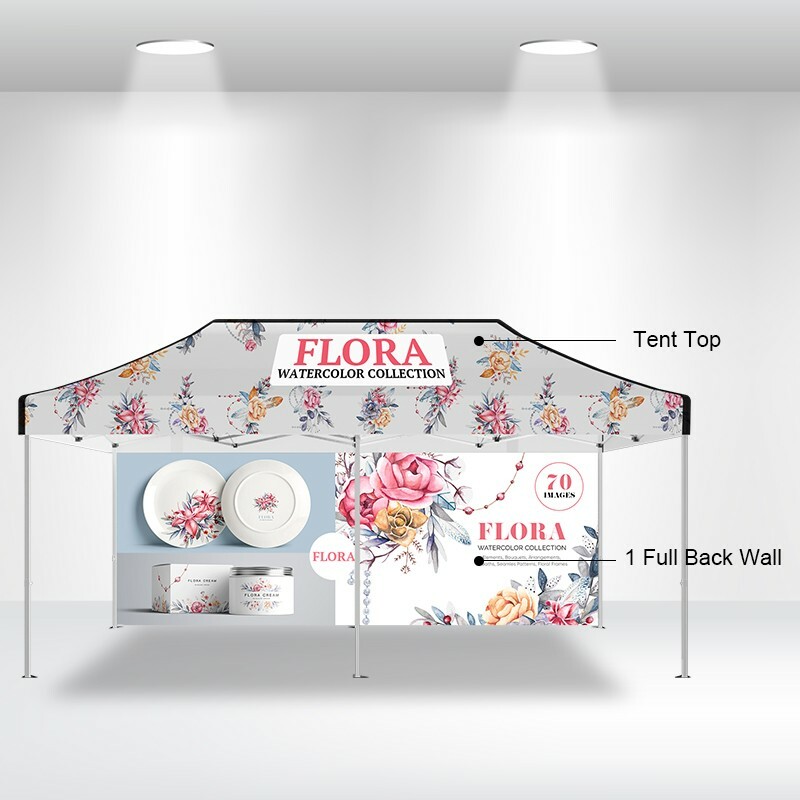 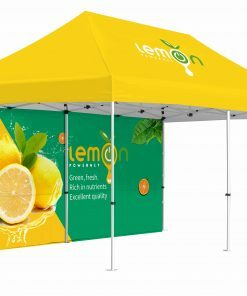 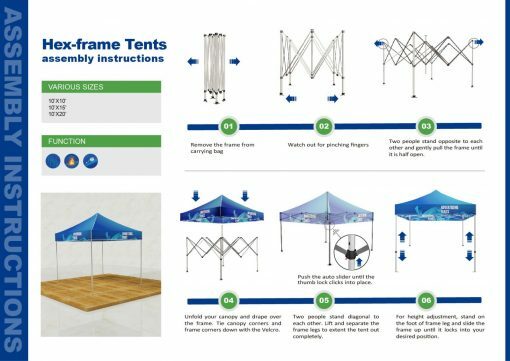 Advertising tent canopies are a very effective way to make you stand out from the crowd, whether it is used for indoor events or outdoor activities like trade shows, grand openings, farmer’s markets, parties, athletic events or other outdoor commercial events. 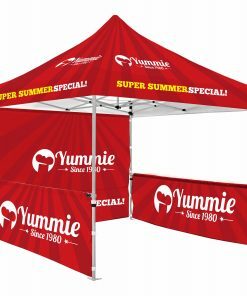 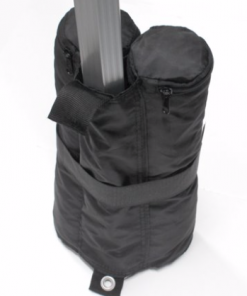 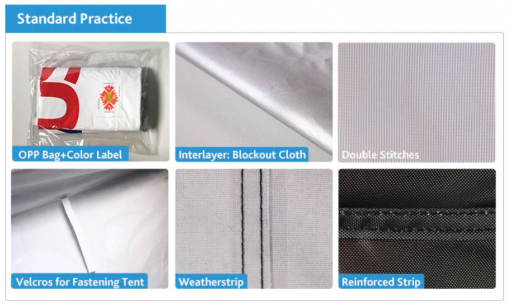 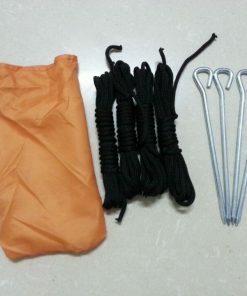 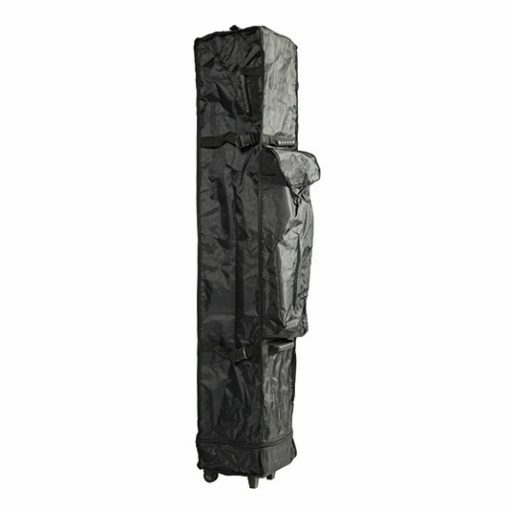 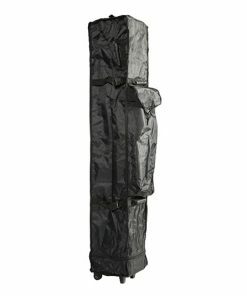 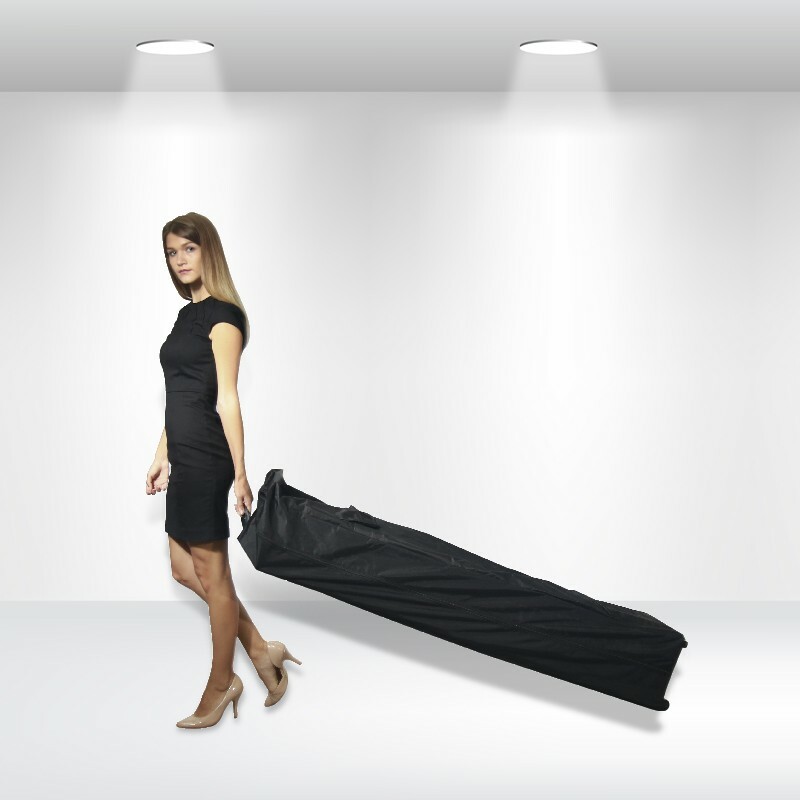 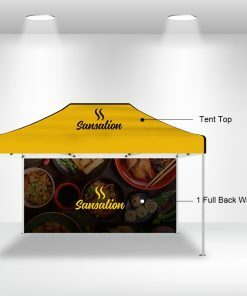 The tent top is printed and sewn using durable 600D Poly material. 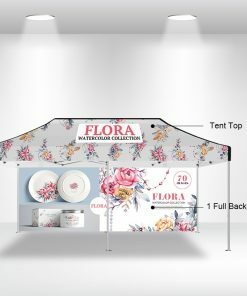 Our dye sublimation printed tent tops look amazing! 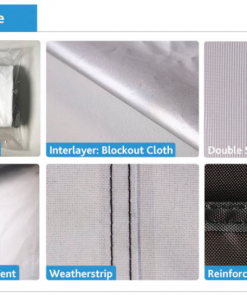 The clear and crisp color will blow you away! 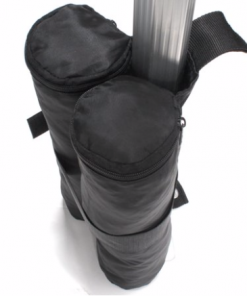 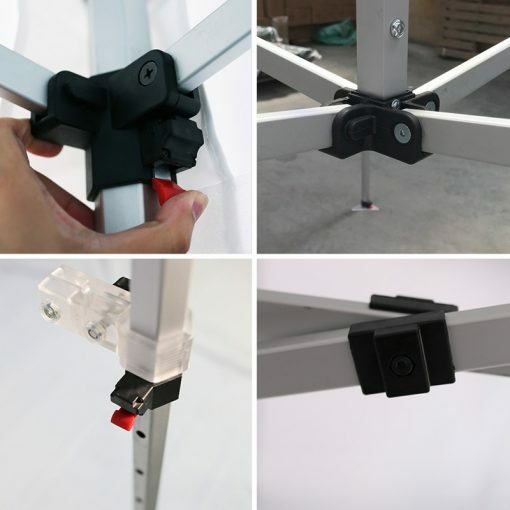 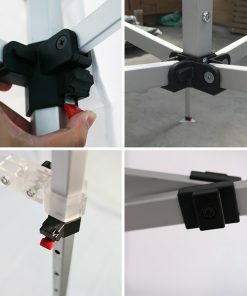 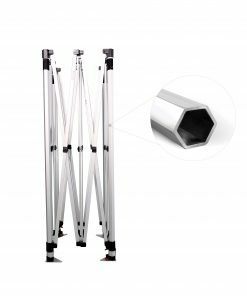 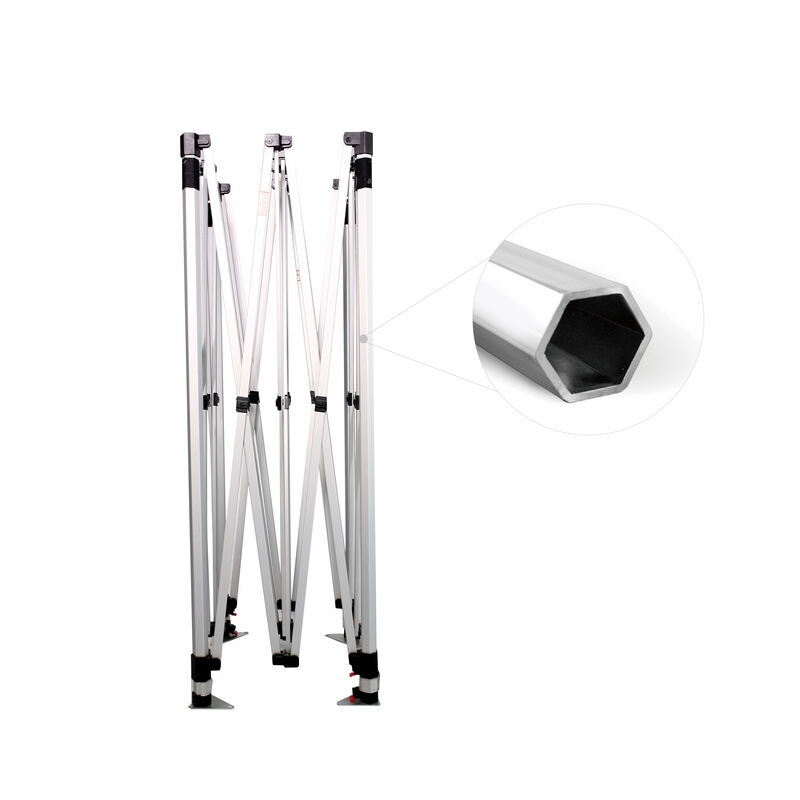 This complete kit includes our strong 40mm Aluminum Hex Shape frame, custom printed top and Premium Rolling Carry Case.